DON'T MISS THIS CHARMING ONE OWNER HOME IN THE HEART OF THOROUGHGOOD IN VIRGINIA BEACH. THIS HOME IS LOCATED IN A QUIET COURT WITH ALMOST 3/4 OF AN ACRE. IT HAS A BEAUTIFULLY LANDSCAPED YARD THAT THE OWNERS TOOK GREAT PRIDE IN KEEPING UP. THERE IS A SUNROOM ON THE FRONT OF THE HOUSE ALONG WITH A SCREENED IN PORCH IN THE REAR FOR RELAXING. PLENTY OF STORAGE FOR ALL YOUR CARS OR TOYS IN THE SINGLE CAR ATTACHED GARAGE WITH HALF BATH OR IN THE LARGE CAR AND A HALF DETACHED GARAGE/ WORKSHOP. BEAUTIFUL HARDWOOD FLOORS THROUGHOUT. THE KITCHEN AND BATHROOMS ARE ORIGINAL AND VERY FUNCTIONAL BUT COULD USE YOUR PERSONAL TOUCH. THE ROOF WAS CHANGED ABOUT 5 YEARS AGO. THIS HOME IS PRICED TO MOVE AND WILL NOT LAST LONG. CALL TODAY FOR YOUR PERSONAL SHOWING BEFORE IT IS GONE. Ready to visit 4725 Newgate? Request a free property tour! Send me more information about the listing at 4725 Newgate, Virginia Beach, VA 23455, MLS# 10239966. This 3 bedroom, 3 bathroom home located at 4725 Newgate, Virginia Beach, VA 23455 has approximately 1,743 square feet. It is currently listed for $390,000 and has a price per sqft of $22,375. This home is currently Sold under the MLS#: 10239966. This listing is provided by The Real Estate Group. 4725 Newgate Court, Virginia Beach was built in 1960. It has Garage Att 1 Car, Garage Det 1 Car, Oversized Gar, Close to Mass Transit parking.The kitchen includes 220 V Elec, Dishwasher, Disposal, Dryer, Dryer Hookup, Microwave, Elec Range, Refrigerator, Washer, Washer Hookup. 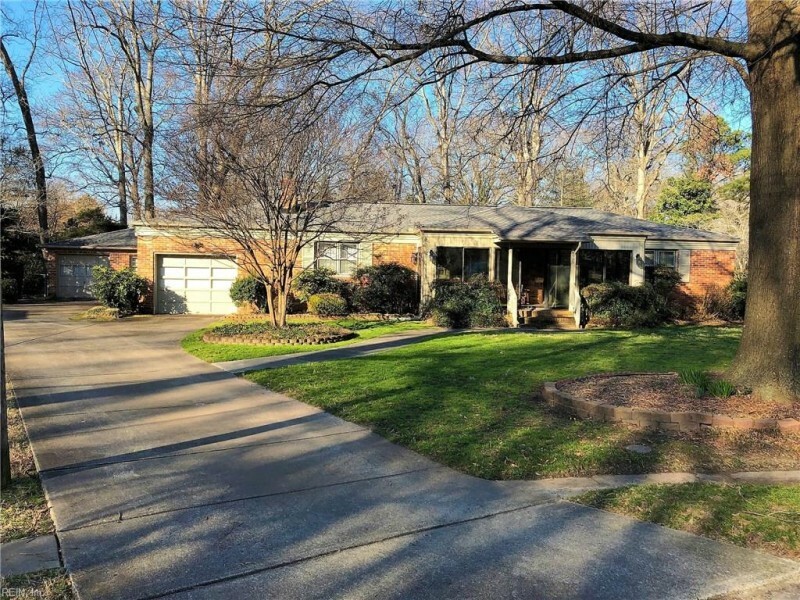 4725 Newgate is part of the Thoroughgood neighborhood located in 23455.